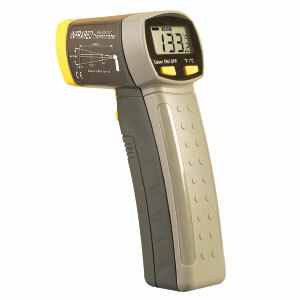 The OSXL450 is an economical, non-contact thermometer that is simple to operate. Its patented laser sighting system defines the target for point and shoot measurement of temperatures from -20 to 320ºC (-4 to 608ºF). Reads surface temperatures in less than a second. Includes handy wrist strap and batteries. 참고: Comes with 9 V battery, wrist strap, and operator’s manual.